Our goal is to bring your business to life with your target audience, and to reach them with compelling conversations and experiences. We support your team so that they can free up time to work on other key activities, safe in the knowledge that your social media is a success. Looking for a team who can make your social a success? “Working together with Brightspark gives us confidence and helps with the time pressure of managing social in-house. It is good to know we can rely on their knowledge of the ever-changing changing social media landscape. We’ve found Brightspark very creative, innovating and a pleasure to work with”. 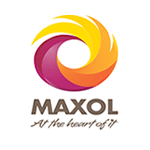 Digital & Consumer @ The Maxol Group.